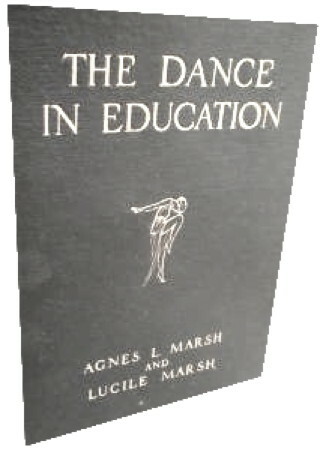 Information: Agnes L. and Lucile Marsh, authors of books on dance. The Dance in Education. Marsh, A.L. and Marsh, Lucile. New York: Barnes, 1924. Educational Dance Series. Marsh, Lucile, and Marsh, Agnes. ? : Fisher, 1932.